James Bruce by E. Topham. Etching, published 1775. NPG D13789. National Portrait Gallery, UK. Used under Creative Commons Limited Non-Commercial License. 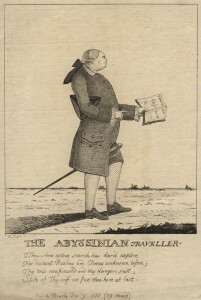 Despite having been dubbed the “Abyssinian liar,” Bruce always stood by his word, and in 1790, he published a sprawling, five-volume narrative of his journey in an attempt to satisfy those whom he claimed, “absurdly endeavoured to oblige me to publish an account of those travels, which they affected at the same time to believe I had never performed.” He titled the work the Travels to Discover the Source of the Nile because locating the source of the legendary river had been the primary purpose of Bruce’s journey. He always maintained that he was the first European to have achieved that goal, even though contemporary translations of Portuguese travel narratives indicated that Jesuit missionaries had made it there first, and even though subsequent explorers would point out that he had traveled only to the source of the Blue Nile (Lake Tana in present-day Ethiopia), not the source of the much longer White Nile (Lake Victoria in present-day Uganda). Nevertheless, the Travels was a bestseller, and the first printing sold out in 36 hours. 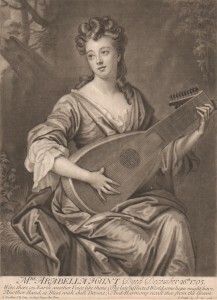 His tales influenced literary figures like Frances Burney, who wrote about Bruce’s visits to her childhood home in her journals, and Samuel Taylor Coleridge, whose dulcimer-playing “Abyssinian maid” in Kubla Khan was likely inspired by engravings of the court women who were enormously influential to Bruce’s knowledge of the region. 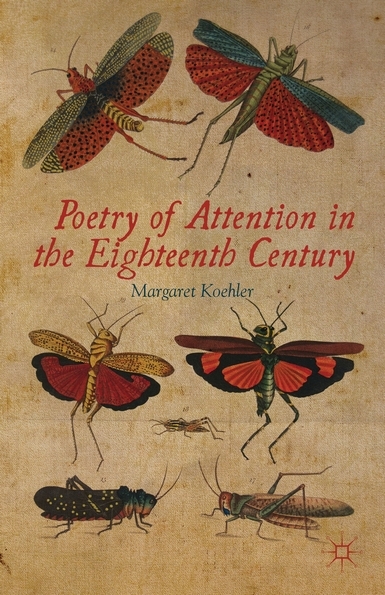 Although it did little to repair his reputation at the time, his work contributed significantly to Western knowledge about Eastern Africa, and examining how the narrative sits on this paradoxical point between success and failure can tell us much about how knowledge and truth were culturally defined in the eighteenth century, during a time that laid the foundations for our own understanding of such concepts. In particular, Bruce’s situation highlights the way that heterogeneity of storytelling can come in tension with the singularity of truth, and how narratives that resist synthesis can reveal important information about what it means for something to be a true story. Although the Nile was Bruce’s main objective, as a polyglot, diplomat, artist, and amateur scientist, he imagined advancing all areas of learning, and in many ways he succeeded. He recorded detailed descriptions of the people, architecture, and landscape from all across North East Africa. 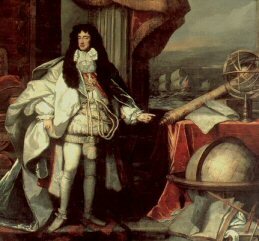 He mapped star patterns and recorded geographical coordinates for navigators and astronomers. The engravings and samples of plants and animals he collected were invaluable to antiquarians as well as scholars of botany, zoology, and medicine. He recorded a thorough history of Abyssinia’s monarchy, wrote about the Ethiopian Orthodox church, and brought the Codex Brucianus back with him—a gnostic manuscript that contained one of the first copies of the Book of Enoch circulated in Europe. He contributed to Dr. Burney’s History of Music. Perhaps his most significant contribution to Western scholarship is his documentation of Abyssinian court life at the beginning of Ethiopia’s “Era of the Princes.” He recounted extensive details about Emperor Tekle Haymanot II; about Məntəwwab, the commanding Dowager Empress of Ethiopia who had ruled as regent for several decades; about her clever and ambitious daughter Wäyzäro Aster; and about Aster’s extremely politically influential husband, the kingmaker Ras Mika’el Səḥul. Although Bruce’s tone is often characterized by a sense of European exceptionalism when he writes about the court, the power and intelligence of these individuals is evident, as is Bruce’s obvious respect and admiration for them—particularly the women, to whom he often refers as his closest friends and allies in the country. But if Bruce contributed to all these advances in Western knowledge, and his narrative was so widely read, why did Britain’s reading public latch onto a few seemingly unbelievable details rather than the wealth of valuable information he brought back with him? After all, it was assumed that all travelers told some tall tales, yet Bruce seems to have received more than his share of scorn. The answer to this question illustrates the fact that eighteenth-century knowledge was extensively influenced by narrative techniques. 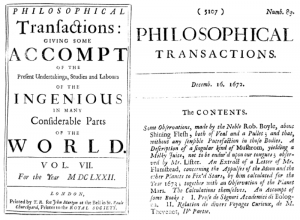 Despite common assumptions that mid-to-late eighteenth-century natural philosophy automatically equated eyewitness accounts with factuality, whether or not such an account was considered trustworthy still depended a great deal on how its story was told. Samuel Johnson, for one, accused Bruce of not being a “distinct relator,” meaning that Bruce was often more interested in telling a raucous tale of heroic self-aggrandizement than in delivering objective geographical and ethnographical reports. When Bruce did include specific details, they occasionally seemed too far-fetched to be possible, such as the aforementioned live steak incident, or his claims that Abyssinians ate their beef raw. To a philosopher, the greatest inconsistency of all, is the discordant picture of Abyssinian manners. That nation is described as barbarous and ignorant in the greatest degree, as totally unacquainted with every country but their own; as liars and drunkards . . . yet, of Mr. Bruce’s Friends, some discover such discernment and force of mind, and some of the women display such delicacy of sentiment and elegance of behaviour, as would do honour to the most civilised nations. This perceived lack of coherence may have been a significant reason why Bruce’s Travels have largely been cursed to obscurity in spite of their initial popularity—seemingly contradictory stories exist side-by-side both inside the text in terms of Bruce’s descriptions and outside the text in terms of its reception history. As the above reviewer intimates, it is hard to get a handle on what the narrative—and thus what Abyssinia—is all about because our “philosophical” heritage trains us to equate inconsistency with falsehood. But this multiplicity is perhaps the most compelling reason for paying attention to the Travels now. Bruce’s narrative is still the primary source of much of our knowledge today about east Africa during the mid-to-late eighteenth century. For one, understanding how such knowledge was produced can help us understand its limitations. Returning to the text, we are reminded that Bruce’s subject position as member of the eighteenth-century British gentry necessarily influenced the way he wrote about the non-European cultures he came in contact with. As such, proto-colonial discourse and British exceptionalism shaped much of what he saw and wrote about, and paying attention to these aspects reminds us that no knowledge is ever entirely neutral. Yet, the Travels are not reducible to these limitations—returning to the text can also open up how we think about how such knowledge was gathered. Take, for example, Bruce’s admitted debt to the women of the Abyssinian court for enabling his mobility both through the court and the kingdom itself. Bruce’s impressions of Abyssinia’s politics and even its geography may be as much a product of their worldviews than they are of his, and his text offers an opportunity to consider how such seemingly marginalized figures in the eighteenth century as African women may have in fact played a significant role in shaping Western knowledge. He similarly relied on his native guides and Gondar’s Greek and Muslim populations for much of his information not only about the city but also the surrounding countryside, not to mention the scholars, writers, and travelers—European, African, and Arabic—who paved the way for Bruce’s achievements long before he ever set foot on African soil. In a 2009 TED talk, the Nigerian writer Chimamanda Ngozi Adichie spoke about the danger of the single story, about the incompleteness that results when we—like the anonymous author from the Monthly Review—seek homogeneity from representations of people and places rather than opening ourselves up to the many narratives that comprise both our pasts and our presents. While Bruce and his paradoxical narrative may seem just a vestige of the past, from an era when the fields he helped advance—from geography and anthropology to theology and more—had not yet reached their full maturity, revisiting his story can help us reconsider how the production of European knowledge about the world may have in fact been a global affair. In spite of Bruce’s tendency to characterize himself as a solitary, intrepid traveler standing alone at the head of the Nile, from the Scottish traveler to his English critics, his Continental supporters, and his African friends, Bruce’s narratives bear the marks of the fact that modern knowledge has always been shaped by how multiple stories of the world are told and by the many people who have a hand in their telling. J.M. Reid, Traveller Extraordinary: The Life of James Bruce of Kinnaird. London: Eyre and Spottiswoode, 1968: 310. Charles Withers, “Travel and Trust in the Eighteenth Century.” L’invitation au Voyage: Studies in Honour of Peter France. Oxford: Voltaire Foundation, 2000: 47-54. Paul Hulton, F. Nigel Hepper, and Ib Friss, Luigi Balugani’s Drawings of African Plants: From the Collection Made by James Bruce of Kinnaird on his Travels to Discover the Source of the Nile 1767-1773. New Haven: Yale Center for British Art, 1991. As cited by Arthur A. Moorefield, “James Bruce: Ethnomusicologist or Abyssinian Lyre?” Journal of the American Musicological Society 28.3 (1975): 503. James Bruce, Travels to Discover the Source of the Nile. Vol. 1. 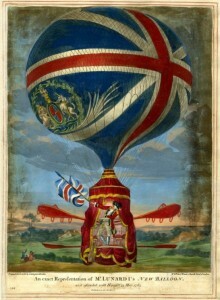 London, 1790: iii. James Boswell, The Life of Samuel Johnson. London, 1827: 243. The Monthly Review, from May to August, Inclusive. Vol. 2. 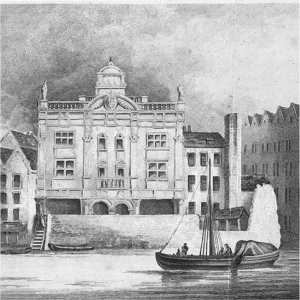 London, 1790: 188. 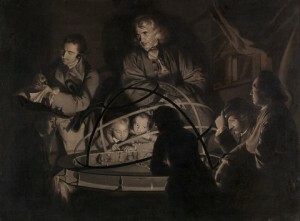 Joseph Wright of Derby, Philosopher Giving a Lecture on the Orrery. ca. 1768. Oil on canvas. 17 5/8 x 23 1/2 inches (44.8 x 59.7 cm). Yale Center for British Art, Paul Mellon Collection. 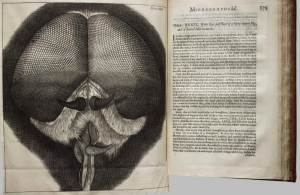 Have you ever wanted to look through Galileo’s telescope, compare Hooke’s illustrations in Micrographia to the specimens he depicted, or turn through the pages of Diderot’s Encyclopédie with your own hands? Or to see a first edition of Vesalius’ On the Fabric of the Human Body, Descartes’ Discourse on Method, and Franklin’s Experiments and Observations on Electricity, preferably without having to travel from library to library? Within the Huntington Library’s exhibition, Beautiful Science: Ideas that Changed the World, these and many more objects are on view and clamor for your attention. Opening in 2008, the exhibition is beautifully in tune with the recent resurgent interest in Enlightenment and Romantic science, most notably with the success of Richard Holmes’ The Age of Wonder. I recently visited Beautiful Science for a tour with its curator, Daniel Lewis, as a student of the California Rare Book School. I later interviewed Lewis about the curatorial choices facing him in developing Beautiful Science and his goals for the exhibition. Below is an edited version of our emailed conversation. Beautiful Science grew out of an enormous donation of the “Burndy Library,” 67,000 volumes of books and manuscripts from the Dibner family, which then drove you back to the Huntington’s own history of science collection. What was the shape of that collection? The Huntington’s history of science collections, as they existed before the arrival of the Burndy, were substantial. A small handful of items were on display in the “New Worlds” section of the Main Library Exhibit Hall, but there was nothing like a public history of science exhibit presence before the arrival of the Burndy collection from the Dibner family. 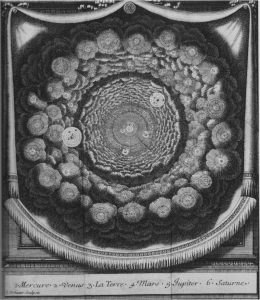 Enlightenment science, however, was certainly of great interest in the research side of things at the Huntington. We are one of the world’s great repositories for early modern British history, and the history of science, medicine and technology has been an important aspect of scholarly investigations for at least a quarter-century. There’s a real emphasis in the exhibition on engaging the senses – visitors are invited to look through replica microscopes, reenact experiments with light, and open stoppers to sniff medicinal herbs. Was there something about the material you were displaying that invited this particular approach? Was there any resistance to it? I wanted very much to find a way for visitors to engage in a very low-level tactile fashion with the exhibit — what I call “interactive light.” I didn’t want people to misunderstand the exhibit to be a science center. There’s nothing for people to jump up and down on; nothing to throw or no mild electrical shocks to receive. It’s a library exhibit, above all else, and almost everything in the exhibit is designed to reinforce this. But that doesn’t mean we didn’t want to engage people with the olfactory, the tactile, and the experiential. Speaking of the exhibit’s tactile quality, you have on display an original volume of Diderot’s Encyclopédie, which visitors can sit down and page through at their leisure – a truly rare event! How in the world did that happen? One of the most common requests I get when doing show-and-tells for visitors and potential donors, is, “Can I touch that?” The answer is usually no — but I wanted people in an exhibit setting to understand what old paper felt like — its long fibers, its soft, pliable nature, its smell, and any other characteristic that people wanted to investigate (non-destructively!). So I located an eighteenth century work — old enough to be made from old cotton rags, rather than more modern wood-pulp paper — that was very common. Diderot’s Encyclopédie was printed in large numbers, and we have three pristine sets — and I thought it an appropriate use for the work to be put on public display. Do you see Beautiful Science as intervening, or taking a stand, in any particular curatorial or pedagogical disputes? What do you think the public duty of an institution like the Huntington ought to be in the communication or preservation of ideas? In some ways, Beautiful Science is a love letter to beauty and science. It doesn’t particularly critique the very numerous things that science has not done well, or scientific knowledge that has been submerged for various reasons, nor does it make comment on, say, the horrors of modern warfare that science has made possible. But that kind of critique wasn’t my goal for the exhibit. The goal really was to show the different ways that science could be beautiful, simply put. I think if I took any obvious pedagogical stance, it’s that there’s an immediacy to original library materials that can’t be replaced by the digital or the analog facsimile, and that to be in the presence of books is to see the power of big ideas that can be widely distributed over space and time. You mentioned during my visit that an exhibition catalogue is in the works. What particular considerations does the catalogue require? I’ve been creating the catalog as a superset of the exhibit — it has the same major themes and subthemes, but I’ve stretched my legs a bit to show other items in the catalog for which there was no physical room in the brick-and-mortar exhibit. The catalog will also contain considerably more text. Books are different creatures than exhibits, as there are no time constraints on a “visit” to a printed catalog in the way there usually are in an exhibit setting. The exhibition’s rooms each have their own theme: astronomy, light, medicine, and natural history. If you were to add a fifth room, what area would you pick? Are there some alchemy and chemistry holdings in the wings? I’d have a room full of dusty computers. NOT! I suppose I’d like to have a section on civil and military engineering — both great strengths of ours. Applied science is a beautiful thing. It struck me when I visited that Beautiful Science was remarkably accessible – that it would be equally appealing to school kids, folks seeking shade while wandering the Huntington grounds, and eighteenth-century enthusiasts. How did you go about striking a balance? I stared at my computer screen until beads of blood appeared on my forehead. Writing label text that’s sufficiently brief, not overly self-involved or navel-gazing, accurate, accessible, and reasonably eloquent is a very difficult task. I’m probably most proud of the text in the exhibit; I conceived and wrote it all myself. What would you say is the importance of remembering the outmoded ideas on display — the models of the universe we know are incorrect, the animals we know don’t exist (I’m looking at you, manticore)? I think those things reinforce an idea that I make explicit on my title wall text as you walk into the exhibit: that we’re on an unknown arc into the future, and that our ideas about the physical world are likely to change, be stood on their head, and then change again. Are there any particular items that the eighteenth century enthusiasts should be on the lookout for? Sure, plenty. I suppose my favorites are the early notions of transmutation or fixity of species — the concept that we live in an evolving natural world was actually more widely considered than people give early natural philosophers credit for. But you do have to reach further back before that period to get a more modern view, ironically. A silly question, but if you were to choose a single favorite historical item on display, what would it be? That’s a tough one, akin to “which of your children do you love the best?” Three leading candidates: Gersdorff’s 1517 Fieldbook of Wound Surgery¸for its dramatic and bloody renderings of medical assistance; or Darwin’s 1859 On the Origin of Species, for its world-changing views of nature; or the early nineteenth century French natural history manuscript — untitled — by a trio of French illustrators about whom very little is known. The illustrations are absolutely breathtaking. Daniel Lewis is the Chief Curator of Manuscripts and the Dibner Senior Curator of the History of Science and Technology, at the Huntington Library in San Marino, California. He is also a Research Associate Professor of History at Claremont Graduate University and a faculty member at the California Rare Book School. Benedict, Barbara. Curiosity: A Cultural History of Early Modern Inquiry. Chicago: University of Chicago Press, 2002. Blom, Philipp. Enlightening the World: Encyclopedia, The Book That Changed the Course of History. New York: Palgrave Macmillan, 2005. Dolnick, Edward. The Clockwork Universe: Isaac Newton, the Royal Society, and the Birth of the Modern World. New York: Harper Collins, 2011. Dugatkin, Lee Alan. Mr. Jefferson and the Giant Moose: Natural History in Early America. Chicago: University of Chicago Press, 2009. Hamblyn, Richard. The Invention of Clouds: How an Amateur Meteorologist Forged the Language of the Skies. New York: Picador, 2001. Holmes, Richard. The Age of Wonder. New York: Vintage Books, 2008. Hoskin, Michael. Discoverers of the Universe: William and Caroline Herschel. Princeton: Princeton University Press, 2011. Jardine, Lisa. Ingenious Pursuits: Building the Scientific Revolution. New York: Random House, 1999. Moore, Wendy. The Knife Man: Blood, Body Snatching, and the Birth of Modern Surgery. New York: Broadway Books, 2005. Porter, Roy. The Greatest Benefit to Mankind: A Medical History of Humanity. New York: Norton Books, 1999. Ridley, Glynis. The Discovery of Jeanne Baret: A Story of Science, the High Seas, and the First Woman to Circumnavigate the Globe. New York: Random House, 2010. Shank, J.B. The Newton Wars and the Beginning of the French Enlightenment. Chicago: University of Chicago Press, 2008. Shapin, Steven and Simon Schaffer. 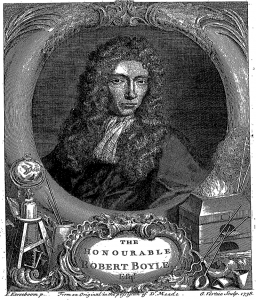 Leviathan and the Air-Pump: Hobbes, Boyle, and the Experimental Life. Princeton: Princeton University Press, 2011 . Stalnaker, Joanna. The Unfinished Enlightenment: Description in the Age of the Encyclopedia. Ithaca: Cornell University Press, 2010. Stott, Rebecca. Darwin’s Ghosts: The Secret History of Evolution. New York: Spiegel and Grau, 2012. Withers, Charles W.J. Placing the Enlightenment: Thinking Geographically about the Age of Reason. Chicago: University of Chicago Press, 2007. Happy (Recent) Birthday, Sir William Herschel! 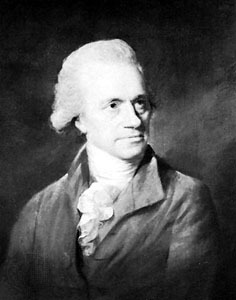 November 15 was the birthday of composer and astronomer Sir William Herschel (1738-1822). As a musician who also discovered the planet Uranus, Herschel plays a starring role in Richard Holmes’ The Age of Wonder: How the Romantic Generation Discovered the Beauty and Terror of Science (Knopf, 2009), a book that is one of our points of departure at The 18th-Century Common. On November 15, 2012, the radio program Composers Datebook played Herschel’s Oboe Concerto in C; you can listen the program here. A short biography of Herschel can be found here. A collection of the papers of William Herschel, Caroline Herschel, and John F. W. Herschel are housed at the Royal Astronomical Society. You can see a picture of the 20-foot telescope Herschel built here. You can explore Herschel’s accounts of his astronomical findings at 18thConnect.org, where I’ve created an “Exhibit” of 4 texts. 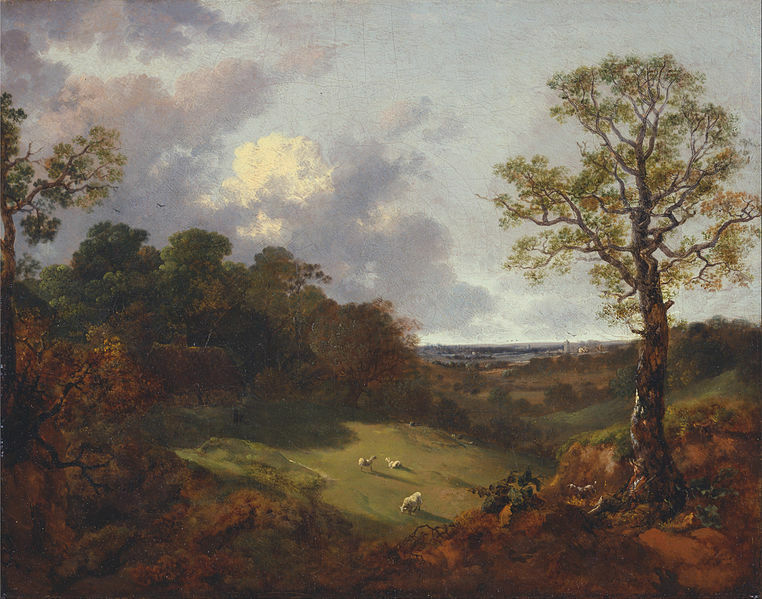 Tristra Johnson examines the representation of gender in Holmes’ account of William Herschel and his sister Caroline Herschel for The 18th-Century Common here.